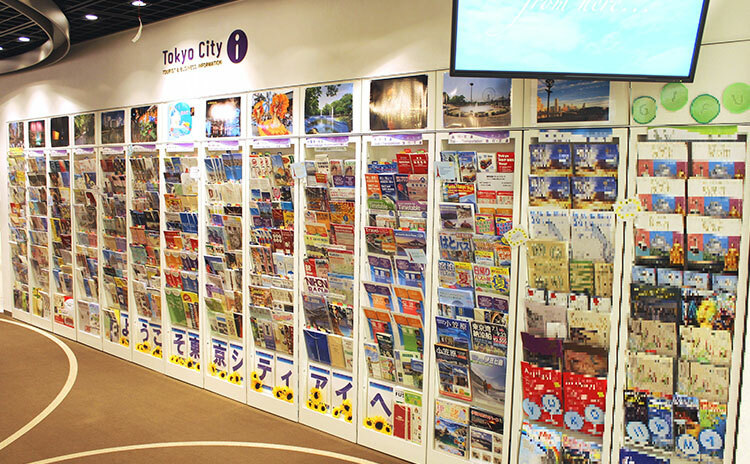 Tourist Information　NEED INFORMATION？　COME TO "Tokyo City i"
We provide a wide variety of services for tourist in Japanese, English, Chinese and Korean. 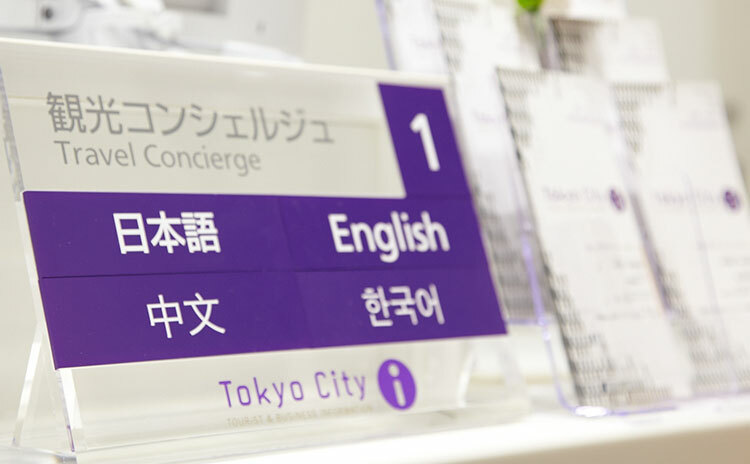 Concierges provide tourist information in four different languages and give one-stop services of travel arrangements such as accommodation and tickets. 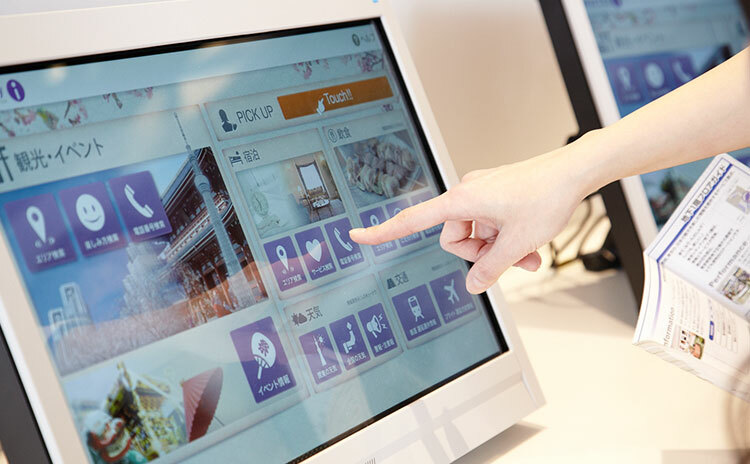 We provide information of tourist sites, festivals and events, restaurants, and accommodation in and around Tokyo from our computer. 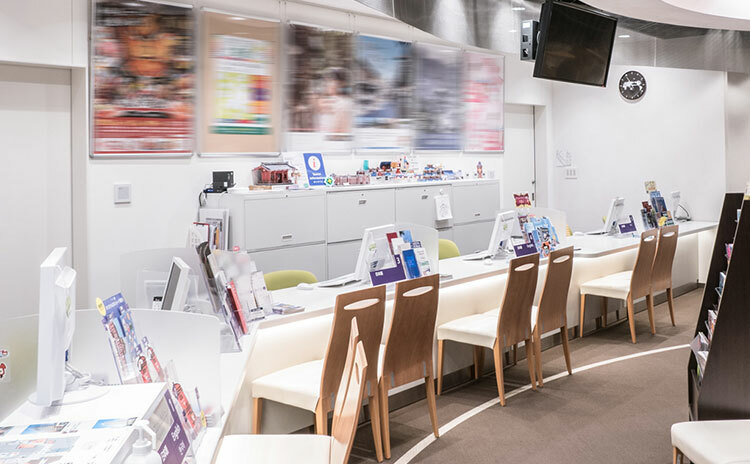 We provide information such as weather, traffic conditions, tourist sites, and events, and shows videos introducing tourist spots in Tokyo and Japan on the screens. 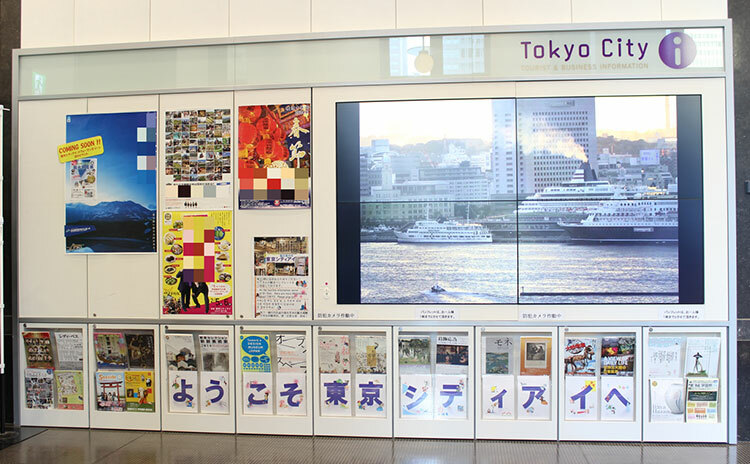 We have a wide variety of brochures about tourist sites, events, and exhibitions at museums mainly in Tokyo. Posters are introducing remarkable spots and events.